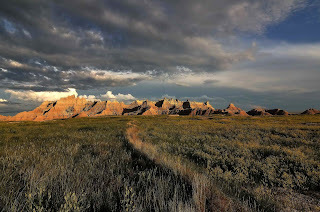 I was looking through my blog and noticed that I had not included any shots from our trip through the Badlands. I had only driven through this amazing area once - we were on our way to the Black Hills and drove the loop road as fast as we could because it was over 100 degrees. This time we had a day to enjoy the beauty here. Amazing place.